Serco is "the biggest company that you've never heard of"
The first post that I ever made to this site about Serco was back in 2011 and I’ve been writing about the Global Information Grid and the Internet of Things for several years – more lately, due to the ongoing roll-out of the 5G network. I’ve also been writing about the Anglosphere and the 5 Eyes alliance for joint cooperation in signals intelligence between Australia, Canada, New Zealand, the UK and the US. I’d never clearly connected all of these processes until now because I didn’t understand how Serco is the corporate glue that’s used to merge all of the above into one Big Data behemoth that is the backbone of the Global Information Grid and Internet of Things. 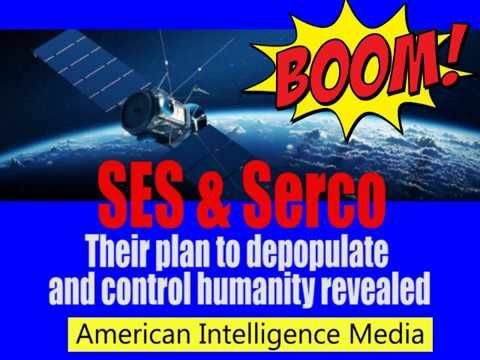 The way Serco is able to get endless amounts of massive US government contracts, such as the one to manage the disastrous Obamacare website is through their operatives within the US technocracy who hire them; members of the shadowy Senior Executive Service (SES) union who occupy key positions in every department of the US Government. The Sun did not set on the British Empire, it just went into hiding, into corporations like Serco, a company with clear intentions of controlling the whole world. Aside from its enormous presence in the UK, with the maintenance contract for the Ballistic Missile Early Warning System and as one of the three companies in charge of the UK’s nuclear arsenal, it manages numerous RAF bases and prisons, hospitals, departments of education and the UK’s version of DARPA. Serco also has a major presence operating airports and all forms of mass transit systems in British Commonwealth countries, Germany, Denmark, Sweden and the UAE. [They] deal with immigration, with healthcare, with prisons with pathology, FEMA Region 9…[an area] impacted by drought, where they actually predicted there was going to be a mass migration out of California.